and forwarded it to Berzelius. and named it after the Norse god Thor. at least in small quantities. 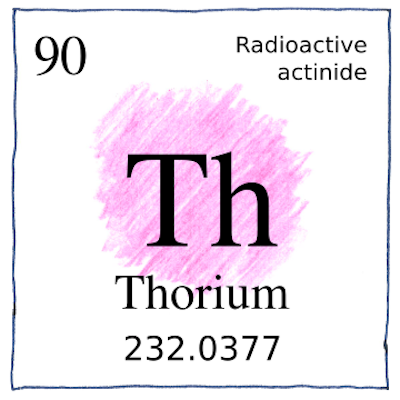 Esmark and Berzelius were not aware that thorium was radioactive. Marie Curie and Gerhard Carl Schmidt independently observed its radioactivity in 1898. What you don’t know might hurt you; however, radiation from thorium is so weak that you may handle it safely; it doesn’t penetrate the skin.